Applications:Slurry briquette machinery is widely used in coal industry, metallurgy industry, chemical industry, etc. Characteristic:Stable rotating speed, high moulding rate and even product granularity, with low noise and little dust, etc. Slurry refers to the semi solid materials formed by coal and water, which is a kind of product in the coal production process. Due to the varieties and formation natures of materials, their properties difference is very big, which is the same to their usages. Slurry briquetting machine or coal slime briquetting machine is mainly used for pressing slurry into balls and blocks, which can be directly put into the furnace for smelting, so as to increase the added value. It is widely used in power plants, metallurgy, refractory material, chemical industry, energy, transportation, heating and other industries. 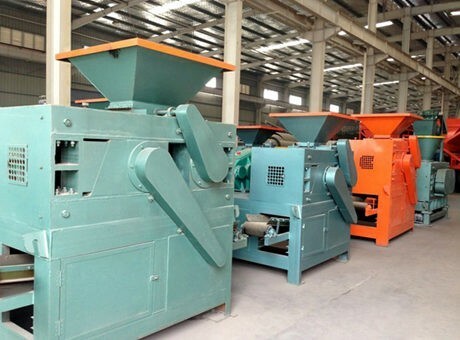 Slurry briquetting machine, coal slag briquetting machine and coal breeze briquetting machine are the new flagship products of Fote Machinery, which have reliable quality, perfect service and favorable price. It has extraordinary effect on loose materials such as coke, coke powder, iron oxide, sludge, coal slime, coal slag and other materials. 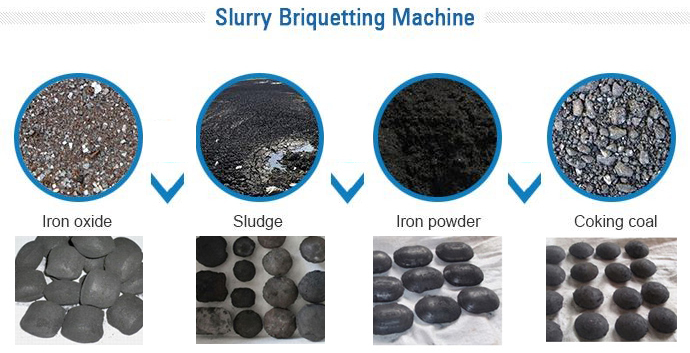 The slurry briquette machinery is widely used in coal industry, metallurgy industry, chemical industry, etc. for processing coal slimes into briquettes that can be utilized for electricity generating in power plant, gas making, boiler burning, calcining lime, metal smelting, etc. 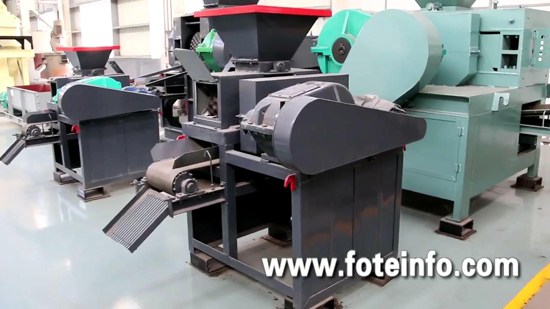 This coal lime briquetting machine manufactured by Fote is a great project that is energy saving and eco-friendly. Using this roller press briquetting machine, your enterprise will obtain enormous economic benefit. Slurry briquetting machine is aimed at the material which is difficult to mold, so the materials can take shape at one time. It has the features of high pressure, automatic feeding, high extruded sphere density, high strength and high hardness. The design principle of slurry briquetting machine roller is the forced extrusion; the extruded balls have very high density. It can suppress coal slime into certain shape. 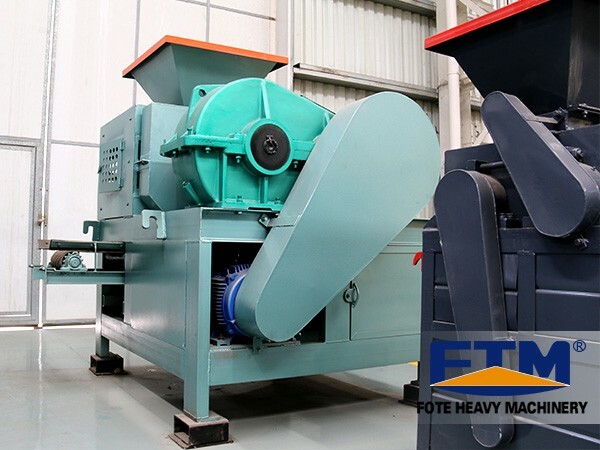 The slurry briquetting machine produced by Fote Machinery adopts wear-resisting material, which has good abrasion resistance, so as to improve the service life of the pressing roller.